Home Specials 20-35% off Advanced Sound Therapy! 20-35% off Advanced Sound Therapy! 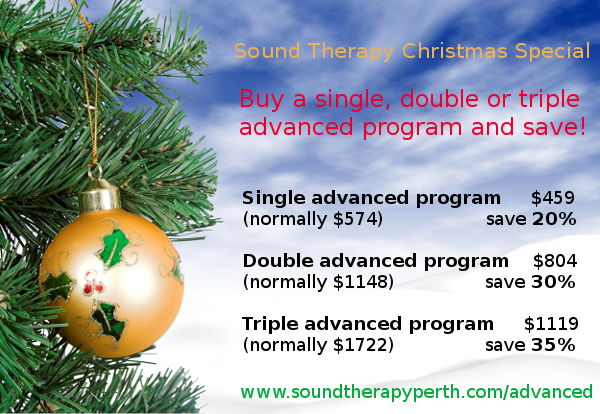 It’s not often that Sound Therapy programs are discounted, so this is an excellent opportunity to stock up on Advanced programs if you have previously used the Listening Foundation Program. The change from the previous Mini MX players to the new Sonic MX3 player has enabled multiple Sound Therapy programs to be loaded onto the one player, now making it possible to purchase multiple programs on one player rather than receiving a new player for every level.